We are constantly posting tips, facts, and learning resources related to sign language and Deaf culture on our Twitter @SigningSavvy. Occasionally we get questions about our tweets and explain them further with a followup article, like this one. Peddlers who pass out cards with the manual alphabet like to frequent high traffic places like airports and coffee shops and cafes in big cities. Peddlers appear to be uneducated, unskilled and unemployable — a victim of society. In truth, some of these peddlers are very clever. By preying on gullible hearing people, a successful peddler can earn quite a bit! Buy a ticket to a Deaf theater performance. Contribute to a Deaf school fundraiser. Buy books by Deaf authors. Buy art by Deaf artists. Sadly, many of these “deaf” peddlers aren’t even deaf. They’re hearing people faking deafness. As proven time and time again when a person approaches them and asks in fluent American Sign Language (ASL), “Why are you doing this?” Watch them make a quick escape! Have you been approached to purchase a manual alphabet card before? Share your experience and thoughts in the comments below. Let us know whenever you have a question about one of our @SigningSavvy tweets and we would be happy to explain it further. Just ask us on Twitter for clarification or use our contact form. I was offered one of these cards while riding the subway many years ago. I had no idea I was supposed to pay for it. When I didn't offer the woman any money, she snatched the card out of my hand. Oh well. Years later, I decided to take a sign language class at my community college. 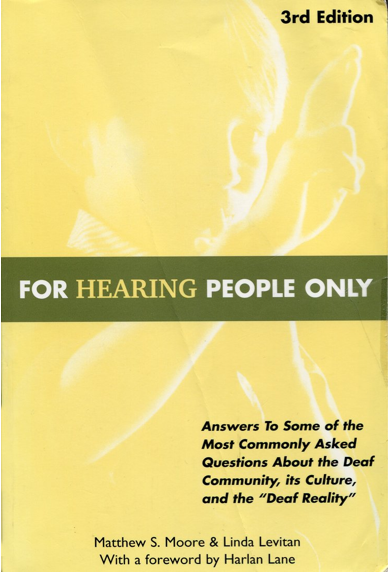 Although by no means an expert signer, I have enjoyed learning the signs and about deaf culture. I also love receiving this magazine in my email. Thanks for lettimg me know that most of the peddlers are scammers. I will pass the info to my friends.